High productivity in any business hinges on the ability to get messages to lower level management from the manager. Mangers can easily reach supervisors in an instant without having to press keypad numbers to make contact and the message is delivered instantaneously without any hassle and bother. Needed procedures and actions are immediately put into motion in the quickest possible time after contact has been made. Activities and tasks are carried out quickly and very little time is wasted. At Complete Alarms in Sydney we are aware of the importance of instant communication. So many things can go awry where many people congregate waiting for a plane, train, bus, a sick patient or travelling home from school. In each one of these instances, the role of the intercom or paging system has a great impact. People waiting for transport to carry them to their destinations are informed instantly about when their flight will take off or the flight they are to meet is due to arrive or has arrived. Similarly, passengers waiting for a train or bus are informed clearly about their transport. We take things too much for granted and are oblivious to the benefits of the intercom system. 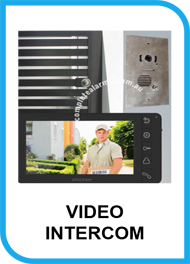 Intercom systems that are connected to systems for controlling access to certain parts of a premise a premise are capable of remotely opening other entrance doors for deliveries of packages or for transporting things out of the factory. This feat is made possible by the addition of wireless capabilities to the intercom system, a technology that has revolutionized the status and effectiveness of the intercom system. At Complete Alarms we know about the efficiency and dependability of the wireless connected intercom system and are experts at installing them. If you harbour thoughts of installing a wireless configured intercom system, ring us on 02 8006 1116 and our experts will help you choose and install a system for you.